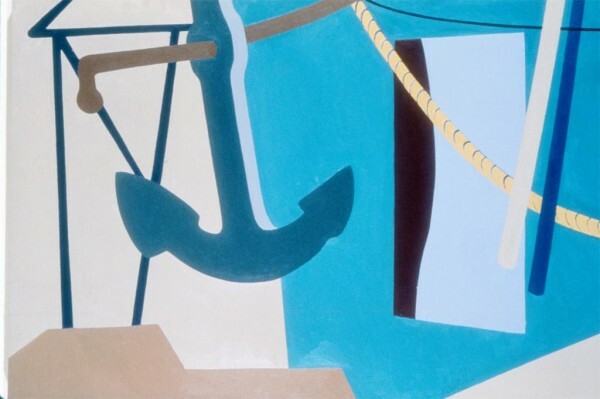 “Painter, printmaker, and photographer Ralston Crawford created both abstract compositions and representational images characterized by precision, clarity, and rational geometry. Crawford spent his youth in Buffalo, New York and often accompanied his father, a ship’s captain, on travels on the Great Lakes. He studied art at the Otis Art Institute in Los Angeles and worked at the Walt Disney Studio before enrolling at the Pennsylvania Academy of the Fine Arts in Philadelphia. In 1932-33, he attended two academy schools in Paris. Thereafter, he was based in New York City, but traveled frequently to teach at institutions throughout the United States. 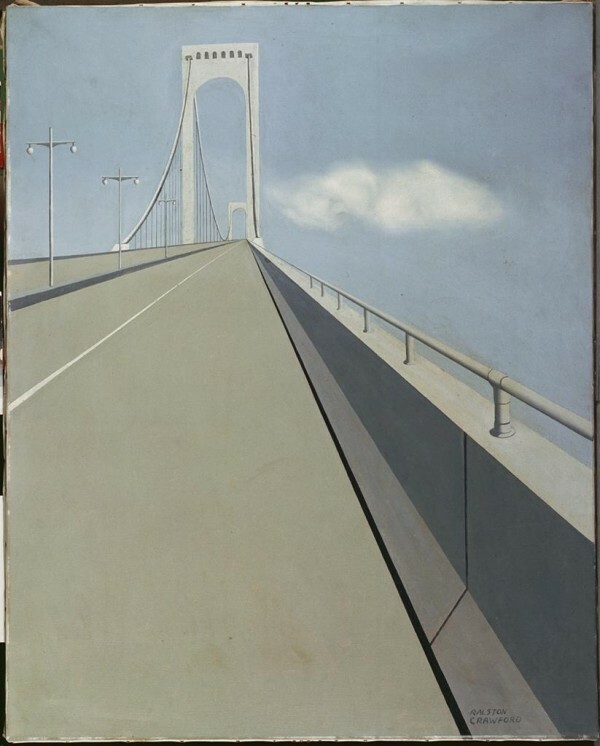 In the 1930s, Crawford perfected a stripped-down, ascetic style associated with the movement known as precisionism for its hard-edged linear emphasis, invisible brushwork and smooth surfaces, and dispassionate approach. 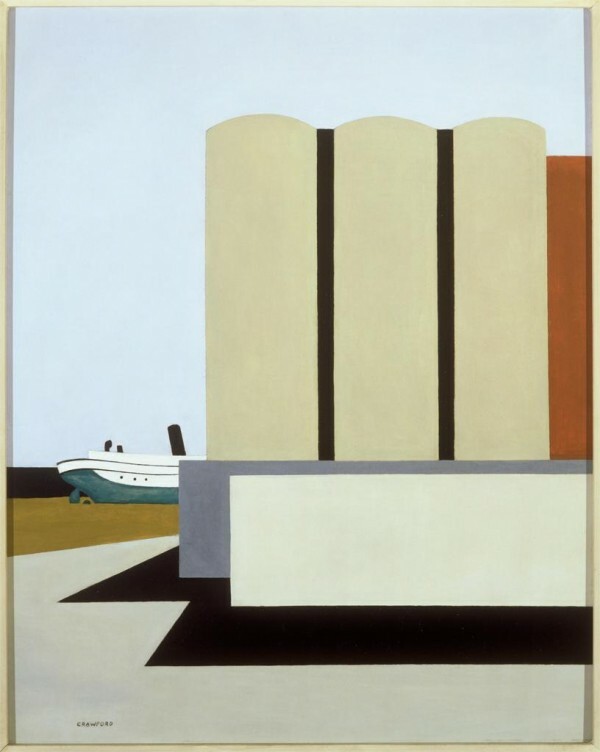 Drawn to the subject of the sea, he also focused on industrial structures, which he rendered in terms of their pure geometry, as worthy aesthetic objects. 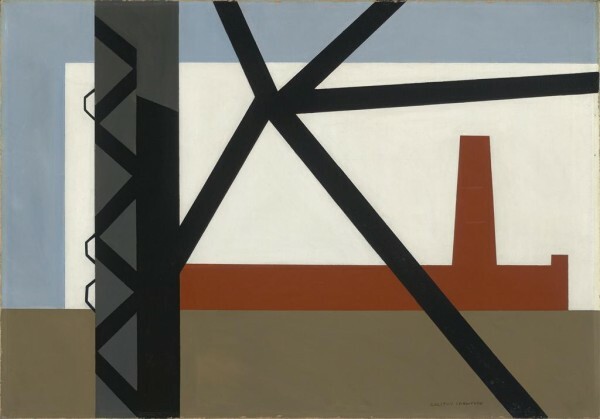 Toward the end of the decade, Crawford began to discard the semblance of representation, using objective form as the basis for abstract arrangements of shapes, lines, and colors. The increasingly geometric approach he took in the late 1940s seemed at odds with the then-rising movement known as abstract expressionism, which privileged tactile evidence of the artist’s emotional response and rapid process. However, Crawford regarded his own seemingly controlled, rational work as deeply reflective of emotional experience. The entry 'Ralston Crawford' was posted on August 16th, 2013 at 8:02 pm	and is filed under Uncategorized. You can follow any responses to this entry through the RSS 2.0 feed. Both comments and pings are currently closed.